Essential. OnePlus. Sony. Xiaomi. Nokia. Oppo. Vivo. I’ll remember those names the next time I go hunting for a new phone as someone who cares about the software that runs on my phones. Those are the companies that Google has told me to keep an eye on if I like to experience all that is new in Android a bit earlier, none of which are Samsung or Huawei or LG or HTC. I bring this up after spending the past week with Android P Beta running on both my Pixel 2 XL and Essential Phone, because as you’ll recall from last week at Google I/O, Google opened up its Android Beta program for the first time to a whole bunch of other phone makers that all offered Android P Developer Preview 2 at the exact same time as Google. Seriously, my Essential Phone is running the same early beta software as Google’s. That’s a big deal. It’s a big deal because if you wanted to test and play with new versions of Android in the past, you had to buy Google’s phones. 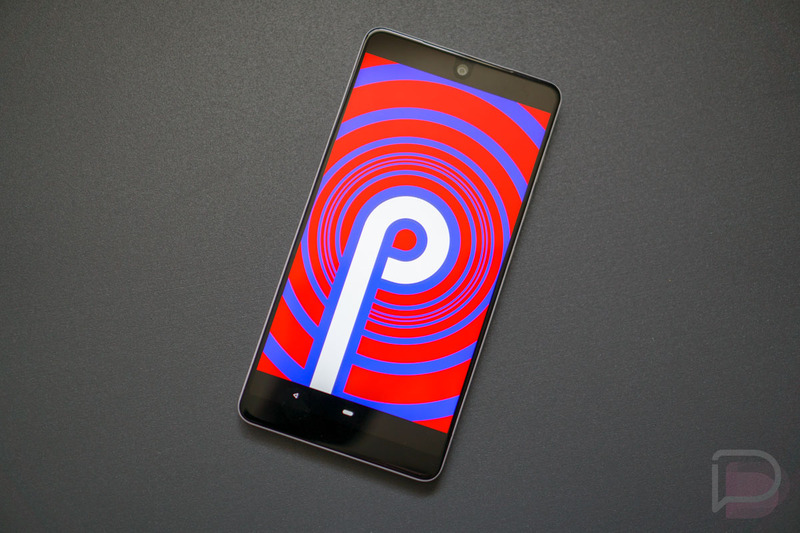 While I tend to prefer Google’s phones over others, the fact that I can start considering non-Google phones to get Android P or Android Q or R or S without waiting months and months is an exciting one. It changes Android. In fact, you could almost argue that it makes Android P the biggest update yet (Hey, a post idea!). I know that when the OnePlus 6 is announced in a couple of days and then released a week or so later, I can buy it and then run Android P. If I decide at some point that Sony’s overpriced Xperia XZ2 makes sense, I can get one and run Android P. When I import the ridiculously hot Xiaomi Mi Mix 2S in all white, I’m going to put Android P on it and leave MIUI off forever (hopefully). And with Android P, I get to test Google’s new hate-it-or-love-it gesture navigation, experience new battery saver and adaptive brightness modes, get used to the new volume controls, tap on suggested replies, utilize a more advanced do not disturb, etc. I get to do all of that on my non-Google phone, just like Google phone owners have always done and taken pride in. While there are no guarantees that these manufacturers will continue doing this whole Android Beta support for life, nor do we really know how they’ll maintain beta tracks or updates with new Developer Preview releases, it’s still an important step for Android. If anything, I have a list of phone makers to go look to in Google’s list of supported Android Beta devices. No doubt these will change over time, but I know where to look for phone manufacturers that support the things in phones that I care about. With this Android P Beta, you also are getting a pure Android experience, which for some of us, is a big deal. Clean Android experiences are pretty hard to find, yet this P Beta turns phones from companies like Xiaomi into stock experiences. You can own a Sony or Xiaomi or Oppo phone and ditch their skin for Google’s Android. It’s our Android dream coming true. So until Samsung or LG or HTC or Huawei get in on the action, I think I know who to keep on my list of OEMs to consider buying from.